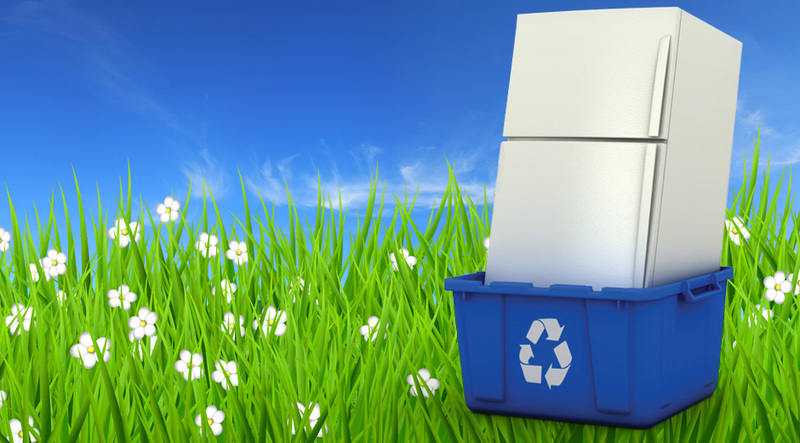 The frequency of disposal of household appliances increases together with the technological progress. This leads directly to the issue of appropriate treatment of generated waste of electrical and electronic equipment. Refrigerators and freezers contain refrigerants, oils and other compounds that, according to legislation, must be removed and restored. A major part of the recycling of the appliance is the manual dismantling of each of its elements. Dismantling removes hazardous components, refrigerant, iron, plastic and insulation from the appliances. The parts are usually removed from the largest to the smallest. First, metals are extracted and then plastics. Materials are sorted by size, shape or density. After all elements have been separated, they are sorted to separate recyclable materials and materials that need to be disposed of. Sizing the formed materials is a good sorting tool to accelerate their subsequent processing. It also classifies fractions that show composition. Materials show larger or finer fractions based on the original size, strength or brittleness. After being separated, the resulting materials are sorted by type and transferred for subsequent treatment to a final recycler. When refrigerators are handed over to a company such as Nord Holding AD, which holds all waste electrical and electronic equipment (WEEE) collection and disposal permissions, they are recycled. At this point, from something useless and dangerous to the environment, they are seen as valuable resources. However, if they are disposed of incorrectly, not in the specified for this purpose places, the appliances can become environmentally harmful and poisonous ecosystems. Therefore, it is very important that old and unnecessary refrigerators are handed over to companies that have the right to collect and treat them. Remember that if you dispose of your old household appliances in household waste containers, you are subject to a sanction by the municipality and/or the relevant Regional Inspectorate of Environment and Water in which you are located. 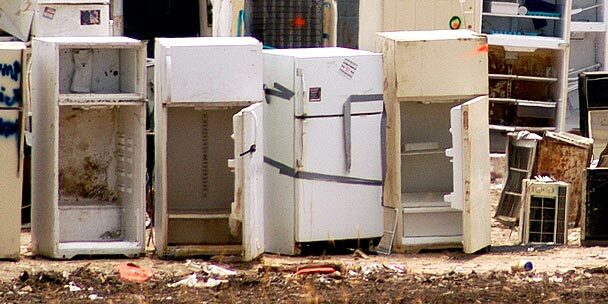 According to the regulations, refrigerators are part of the electronic scrap and should be collected separately from the general household waste stream. These requirements were introduced into the European legislation as early as 2003, through the adoption of the Directive on Waste Electrical and Electronic Equipment. Since the accession of Bulgaria as a full member of the European Union, all environmental legislation has been transposed, and thus the term extended producer responsibility is also introduced in Bulgaria, thus imputing responsibility for its entire life cycle to the manufacturer of the appliance and especially for the “return”, recycling and final disposal of the product. Essentially, manufacturers have to fund product processing and recycling. Before you dispose of a refrigerator in the household waste container, think that there are other options that will not only avoid the damage but also help save valuable raw materials.